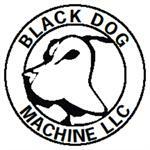 Black Dog Machine are a specialist magazine manufacturer based in Nampa Idaho, whose popular aftermarket .22 magazines are unique in using hard wearing polycarbonate as the main magazine body material, a material more commonly found in bulletproof glass and cockpit canopies. Since 2004 they have been continually improving and expanding their range, with the ultra reliable Sonic X magazines representing some of the best available for AR15 .22 platforms. Black Dog magazines ship as standard with .22LR ARs from manufacturers including Bushmaster, DPMS, Sig Sauer and JP rifles. We are pleased to stock the complete Black Dog range.